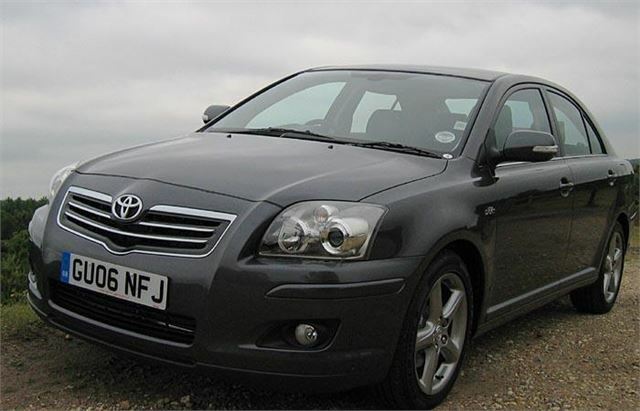 Toyota GB has issued a safety recall for certain Avensis and Corolla models (built July 2001 to March 2009) and for Prius IIs (built July 2003 to April 2009) with the Vehicle and Operator Services Agency (VOSA). All models are previous generation, not new models currently on sale. On certain Avensis, Corolla and Prius models (July 2001 to April 2009) there is a possibility of an issue with a component1 in the steering system, prompting a knocking or rattling and possibly a reduction in steering response1. In such circumstances, the vehicle will remain safe to drive. There have been nine reported cases of this issue in Europe and no reports of any associated accidents. 1: Due to insufficient hardness treatment of some of the extension shafts, the splines that connect the extension shaft to the steering gearbox may deform if the steering wheel is frequently and forcefully turned to the full left or full right position while driving at slow speeds. This deformation may create increased internal clearance and the splines may eventually, over time, wear out. Toyota dealers will inspect the extension shaft to determine if it needs to be replaced and, if confirmed, will replace it. The inspection and repair will take approximately one hour. Also, on Prius models there is a possibility the water pump in the hybrid system may fail2. Should this happen it will be indicated by a warning light being illuminated on the dashboard. There have been three reported cases in Europe. There are no reported accidents related to this issue. 2: There is an electrically driven water pump that circulates coolant through the hybrid components. There is a possibility that the electric motor installed in the water pump may stop functioning, leading to illumination of various warning lights in the instrument panel. In limited instances, the water pump electric power supply circuit fuse may open, causing the hybrid system to stop while the vehicle is being driven. Customer satisfaction is of paramount importance to Toyota. Consequently,Toyota has decided to conduct recall activity to replace the hybrid system water pump and check steering shaft performance on the affected cars. In full compliance with VOSA requirements, Toyota GB will contact the owners of all affected vehicles within the next six weeks, asking them to make an appointment to bring their car to their nearest Toyota dealer. It is possible that some Prius will require attention for both issues. According to model, the dealer will replace the hybrid system water pump and/or inspect the steering shaft. If the steering shaft does not meet Toyota inspection criteria, it will be repaired. The water pump replacement should take no more than an hour-and-a-half. If required, the steering shaft repair should be completed in an hour. This work will be carried out free of charge. From 7.00am on 14 November the Toyota GB web site (www.toyota.co.uk) will host a registration number and VIN look-up function. Owners can use this facility to check if their vehicle is within the affected range of production. If owners require additional information they should contact Customer Relations on 0800 1388744.